Designed with parenthood in mind.™ Ingenuity's™ Trio 3-In-1 High Chair™ is every feeding chair baby will need from 6 months to 5 years old! Three modes of use include a full-size high chair, booster seat, and toddler chair. When used as a booster and toddler chair, it can even seat two children at the same time. 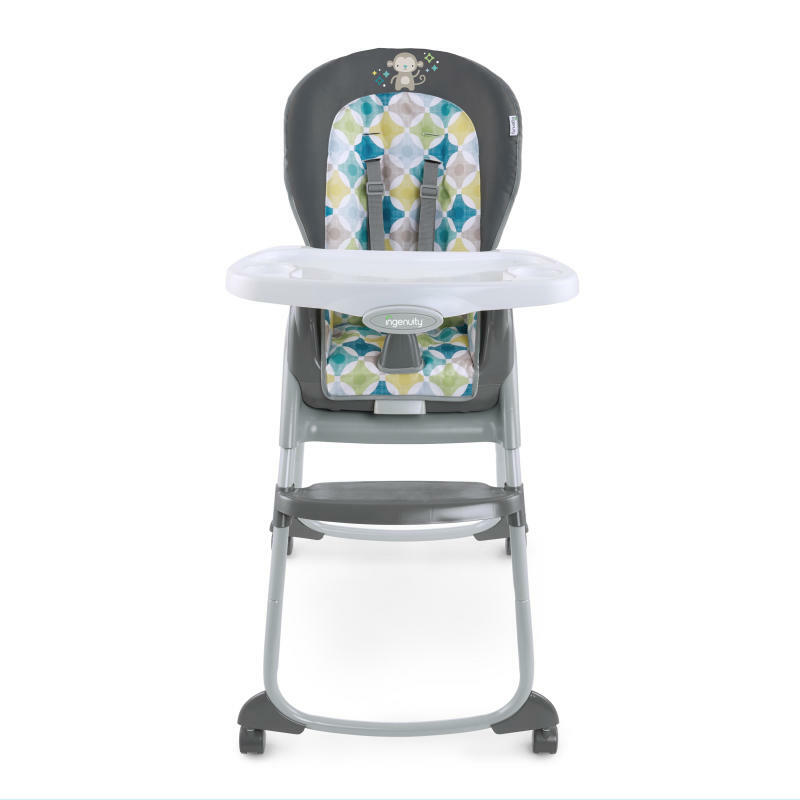 Ingenuity™ redesigned this best-selling high chair with the Moreland™ fashion that’s perfect for a little boy or girl. Comfort is key. The support cushion seat pad helps keep baby comfortable and as baby grows, the seat can recline to 3 positions. Ingenuity™ believes in making clean-ups a breeze. The tray was designed to be easy to wipe, removes with one hand and is dishwasher-safe. The straps and seat pad also wipe down and can conveniently be tossed in the washing machine. Keep baby in reach with the convenient 360-degree rolling wheels. For added safety is a 5-point harness and 2 wheels that lock into place.